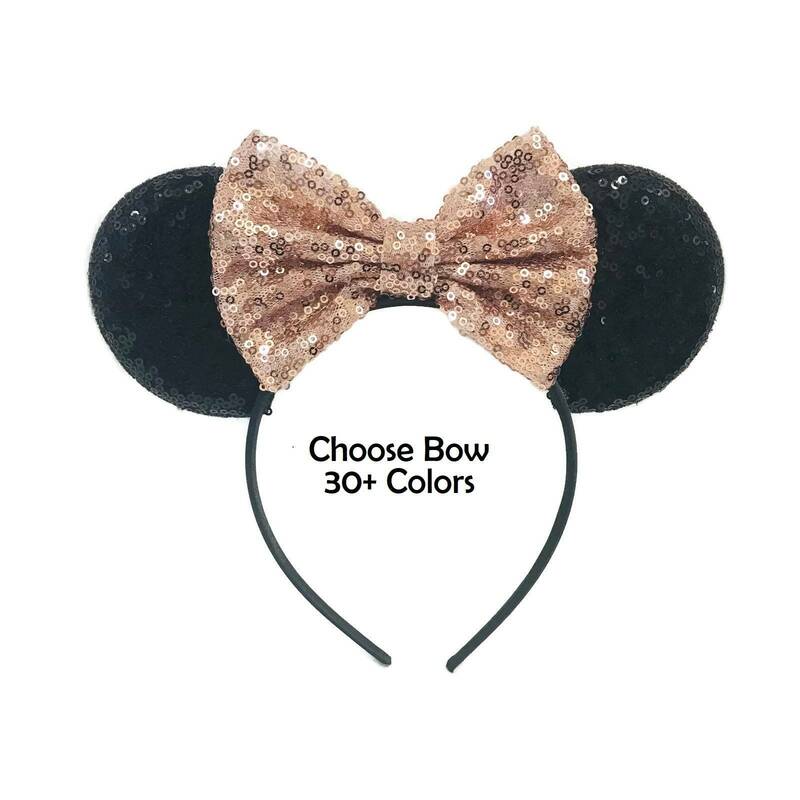 Choose Mouse Ear Color and Bow Color From Drop Down Menu, as well as Headband Color (black or gold). 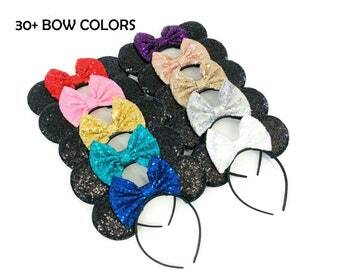 Sequins cover front and back of ears! 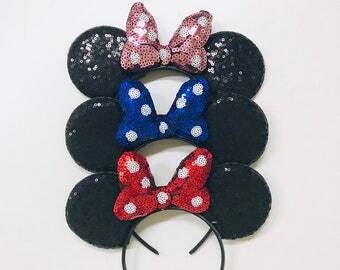 Enjoy a trip to the "happy place" or a Mickey/Minnie party at home with these darling ears! 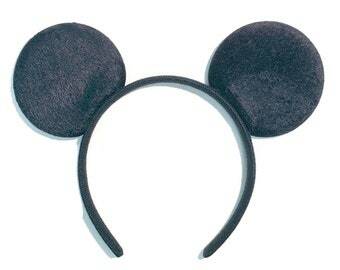 You will forget you are wearing these ears because of the soft, satin fabric covered band. Fits 6 months and up. 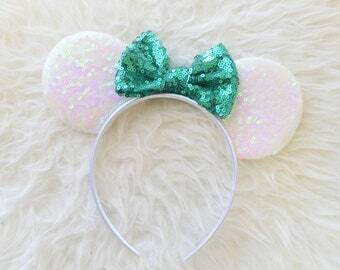 Ears with crown in last photo also available in the shop! 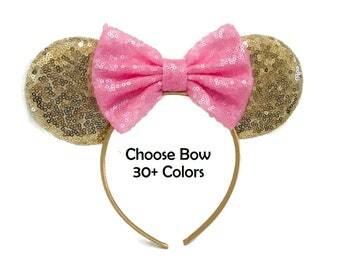 Very cute, the pink does turn out a little bit lighter than shown on the monitor. 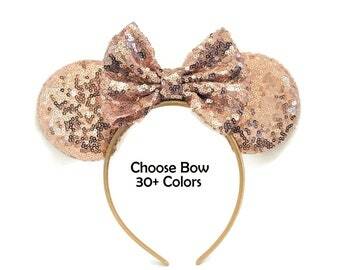 I'll probably go with a brighter option for my next purchase. Payment is due via Paypal, or with a credit card through Direct Checkout. You can also use a credit card through Paypal. Just click on the PayPal button at the end of your transaction, find the option "I do not have a PayPal account," then follow the instructions. If there is an issue with your items, please send me a message within 2 days of delivery so we can get things sorted promptly. It is the buyer's responsibility to note all size measurements and photos on models. There are no refunds or exchanges on custom orders. All items are handmade, so slight variation is natural. That is part of what makes handmade items so unique and special! ***Since many of my items are time sensitive and needed for parties, PLEASE plan to have your item arrive 1 week before the event date. Items ship in 1-5 days, and standard domestic shipping is 2-5 days. Packages can be delayed for various reasons, so please plan accordingly! I cannot make changes to orders that have already been placed. This leads to confusion during production, and I don't want to risk making the item wrong and having a disappointed customer. I am more than happy to cancel an order and refund right away, and you can place another order for the correct item. I ship to addresses provided by Etsy, so please make sure the address is correct! If you need your order shipped to a different/new address, make sure to let me know at checkout. Shipping is via First Class (13oz or smaller) or Priority Mail for bigger packages. 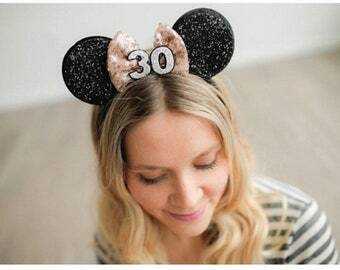 I ship to the address on your Etsy account. Everything I ship within the US has a tracking number (delivery confirmation). Little Blue Olive is not responsible for items that are delayed or lost in shipment. Please contact the USPS for more information on lost or delayed items. We do not refund for any Shipping charges that we have incurred if the error is not on our part. No changes can be made to orders that have been submitted and paid for, i.e. color changes, size changes, add-ons, etc. If you would like to change your order, please request a cancellation of the order, and I am happy to work with you to reorder for the size and style you desire. If a custom listing is set up for you, please pay within 36 hours. After that time, the listing will be removed. This is to ensure that all details and timelines can still be met, as it is based on that purchase date. Thanks! I am the only one who answers emails and messages, so please patient if you are waiting for a response! I do not answer emails on Sundays.